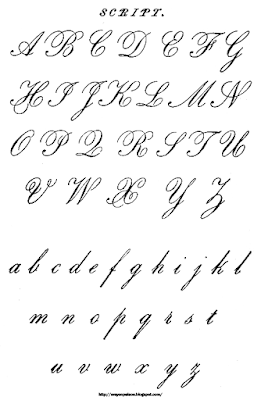 Cursive, also known as longhand, script, handwriting, looped writing, joined-up writing, joint writing, or running writing is any style of penmanship in which the symbols of the language are written in a conjoined and/or flowing manner, generally for the purpose of making writing faster. 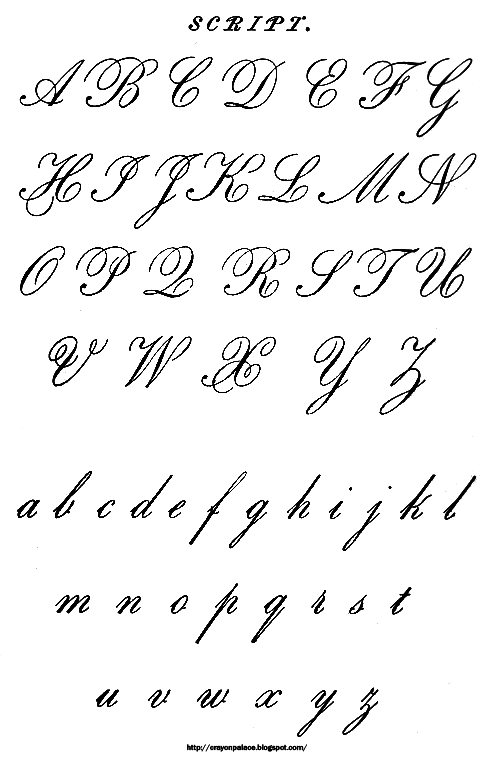 Formal cursive is generally joined, but casual cursive is a combination of joins and pen lifts. The writing style can be further divided as "looped", "italic", or "connected"
Starting in the 1930s and 1940s, colleges discarded the teaching of handwriting techniques from curriculum. Students in college at that time therefore lacked the handwriting skills and ways to teach handwriting. Those who went into education at the time did not value cursive as much as the generation before them, and they were unsuccessful in passing the skills to the next generation. In addition to the new technology that would become popular over the following decades, cursive seemed inefficient compared to the technology that could produce information more quickly. One of the earliest forms of new technology that caused the decline of handwriting was the invention of the ballpoint pen patented in 1888 by John Loud. Two brothers, Laszlo and Gyorgy Biro further developed the pen by changing the design and using different ink that dried quickly. With their design, it was guaranteed that the ink would not smudge, as it would with the earlier design of pen and it no longer required the careful penmanship one would use with the older design of pen. The ballpoint pen was mass-produced and sold for a cheap price, changing the way people wrote. Over time the emphasis of using the style of cursive to write slowly declined, only to be later impacted by other technologies. I believe that parents/educators should continue to teach their children cursive reading and writing while they are still very young. The reason for this is a simple one. If your child does not learn to read or write in cursive, then he or she will become vulnerable to those members of the society who have this easy advantage over them. Every citizen of the United States should be able to read the following: download the high-resolution Declaration and read aloud before graduating from eighth grade. Incidentally, my children could read this when they were in fourth grade. Begin to teach your second grader (age 8 or 9) cursive handwriting: Parents/Teachers may like to practice movements with their first grader ( age 6 and 7) prior to second grade writing and reading lessons. Remember that levels in pen work do not always accurately reflect the ages of students. Levels are determined by the progression of aptitude which is directly influenced by familiarity of small motor movements. So, if a student is unaccustomed to writing, he or she may need to begin with pen work at a different age or grade level than what was previously taught in American public education institutions. 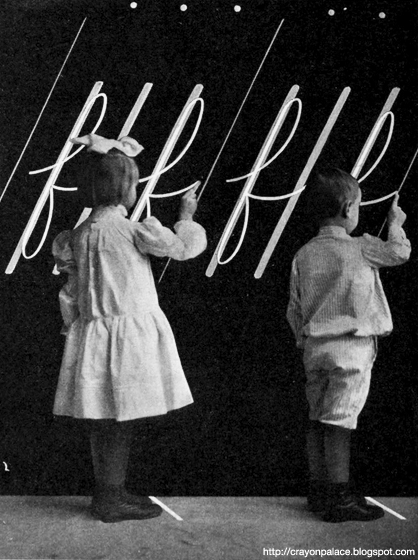 First-grade pupils practice cursive on their classroom chalk board in 1909.